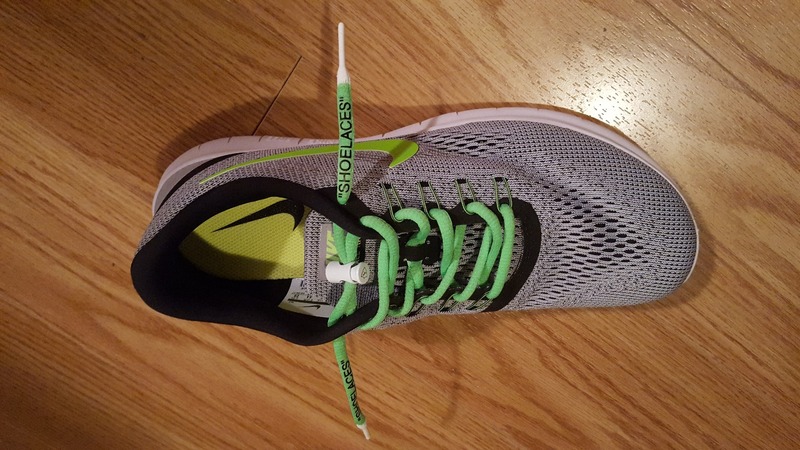 Laced Up neon green oval lace featuring a white dipped aglet and white "shoelaces" design. We recommend these laces for adidas NMD (36"), and nike Vapormax (48"). These laces will only work with shoes with soft leather or mesh eyelets due to the fragility of the plastic dipped aglets. Laces quality feels awesome! Printing of the "SHOELACES" looks like it actually came from Off-White! Putting them on the Vapormax FK2 is a little bit tough due to the wax. Do not force them in, take your time. Or else the wax will start to peel off. (Happened to one of my lace) All in all this is an awesome product! The fact that it is in limited quantity, it makes it feel even more awesome! Really nice, perfect color match to off white laces, really makes the white of the shoes pop.